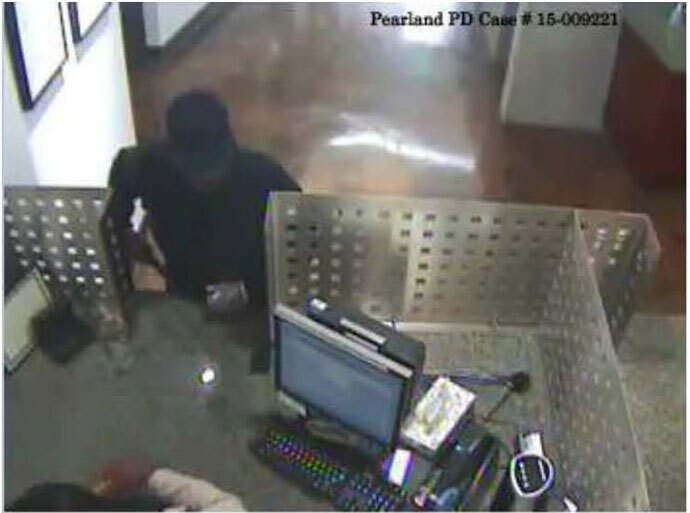 Police say a man suspected in the robbery of several Pearland banks has become "more brazen" and may commit more violent crimes if he is not caught. 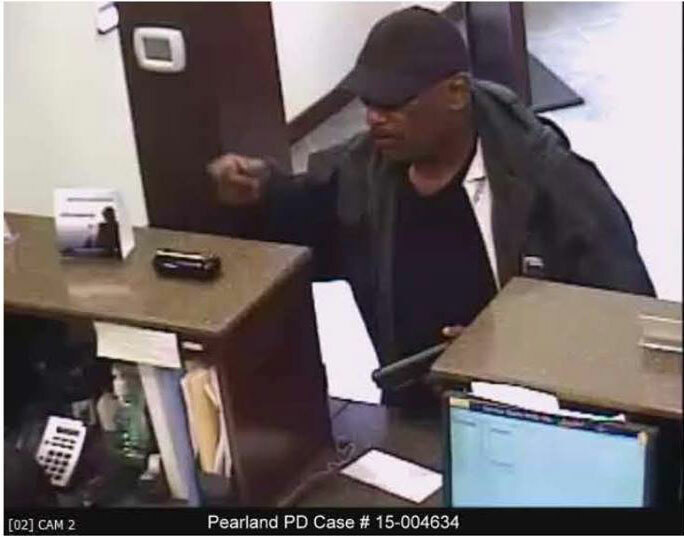 PEARLAND, TX (KTRK) -- A man suspected in several bank robberies in Pearland leaped over a teller's counter and demanded money in his latest crime. 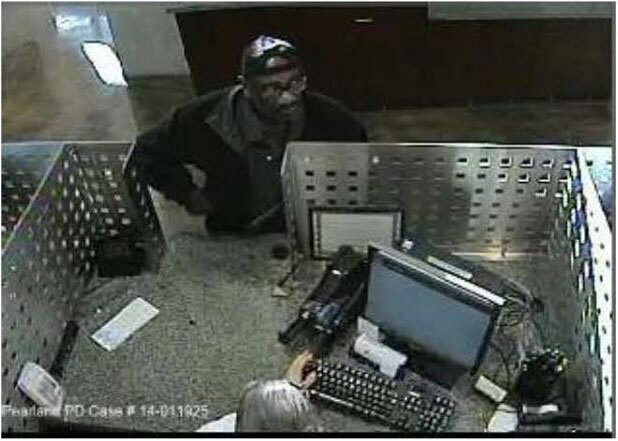 Police say the suspect robbed the Frost Bank at 11201 West Broadway on Oct. 8, around 10:15am. 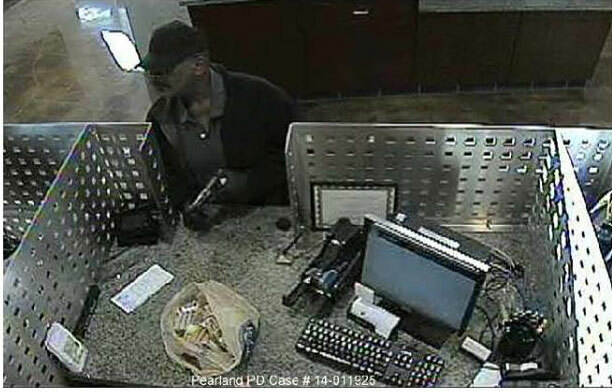 Officers report the man entered the bank, pointed a pistol at the teller and demanded money. Then, the suspect climbed over the teller's counter. The suspect is described as a black male in his 40s or 50s, approximately 5 foot 10 inches tall, and weighing 200 to 220 lbs. 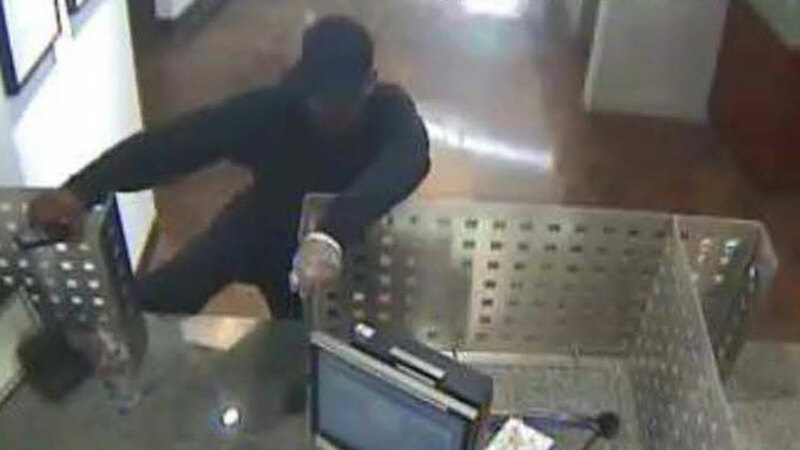 He wore black clothing and a black cap during the Frost Bank robbery, and had a loose-fitting glove typically worn in food service on one hand while brandishing the pistol in the other. 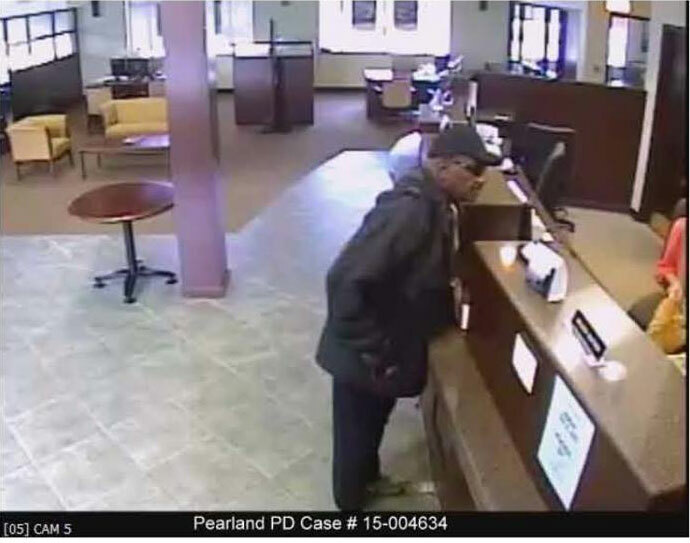 The man is believed to have robbed this same Frost Bank location on Dec. 16, 2014, in addition to another Pearland bank. Police say he has become more brazen and that the potential for violence may escalate. If you have any information on the suspect, contact Pearland Police Department at 281-997-4142, or Brazoria County Crimestoppers at 1-800-460-2222. A cash award is offered for information leading to an indictment or arrest.